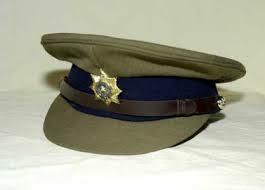 A ‘bouncer’ from Jambezi outside Victoria Falls has been arrested after he allegedly overpowered three armed cops who wanted to arrest his younger brother resulting in his escape. The cops told the court on Friday that they failed to arrest Mthokozisi Sibindi who is wanted for a case of assault after his bouncer brother, Cabangani Sibindi pushed them. Mthokozisi is still on the run and Cabangani was later arrested by the same cops. Testifying, one of the cops, Constable Kelvin Ncube said they were overpowered by Cabangani as they tried to arrest Mthokozisi. “We went to look for his younger brother Mthokozisi for a case of assault. We found him seated in the hut with his family and friends as they celebrated Christmas Day and we introduced ourselves as police officers. “We requested to see Mthokozisi and as we took him outside, his brother followed and threatened us saying we should not arrest him. Cabangani Sibindi is a bit heavy and that’s how he overpowered us leading to the suspect’s escape,” said Cst Ncube. Cabangani (23), of Masikili Village 24, is facing a charge of obstructing the course of justice. He pleaded not guilty and was remanded in custody to tomorrow for sentencing. He told the court that the cops were lying against him. “I was having a conversation with one of them as I asked if they were police officers since they were not in uniform and had not introduced themselves. The other two were holding Mthokozisi who suddenly broke away from their grip and fled. There was no way I could stop them since they were armed with a gun,” said Cabangani. Prosecuting Mr Listen Nare said Cabangani blocked police from arresting his brother.